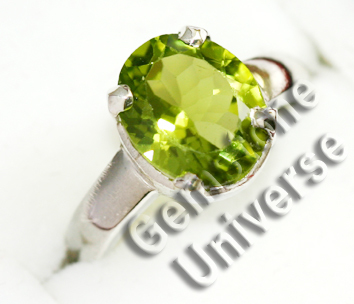 You are here: Home / Natural Fine Planetary Talismans / Captivating Flawless Peridot set in Sterling Silver 925 ring from the Gemstoneuniverse.com collection of fine, natural, unenhanced gemstones! Captivating Flawless Peridot set in Sterling Silver 925 ring from the Gemstoneuniverse.com collection of fine, natural, unenhanced gemstones! All of my qutesonis settled?thanks!